Victoria Beckham is a major source of inspiration for us—and no, we're not just talking about her perfected go-to makeup, nor her repertoire of era-defining haircuts. She's built a fashion empire, launched genius makeup products in collaboration with Estée Lauder and has raised four children. To cut a long story short, it's 2018 and we still want to be Posh Spice. But now, VB's also announced that she will be launching a YouTube channel… and we're not going to lie, we're pretty excited about it. Beckham sat down with American fashion journalist Derek Blasberg to reveal the news. In the YouTube video (that was actually filmed during London Fashion Week in September) Beckham revealed that her channel will showcase beauty tutorials, styling tips and "lots of stuff from me." Just like we plan our seasonal wardrobes around her every fashion move, we're also very much on the ball when it comes to sniffing out beauty products she loves so we can't wait to see what her YouTube channel has in store for us. As she's been sharing her latest beauty finds in her Instagram Stories up until now, we're assuming more than one of these cult buys will make an appearance in her upcoming YouTube videos. During a recent trip to Australia, Beckham revealed she met with facialist Melanie Grant, and has since been loving her Cosmedix skincare line. She starts with a double cleanse using Cosmedix Purity Solution (£38) and follows with exfoliating cleanser Cosmedix Purity Clean (£43). Next, Beckham goes in with Cosmedix Elite Serum 24 (£92) that has a unique blend of both retinol and retinal to help reduce the appearance of wrinkles. Finally, Beckham's skincare routine down under finishes with Augustinus Bader's The Cream (£205)– that yes is eye-watering expensive, but remains one of the Byrdie-approved all-time favourite moisturisers. 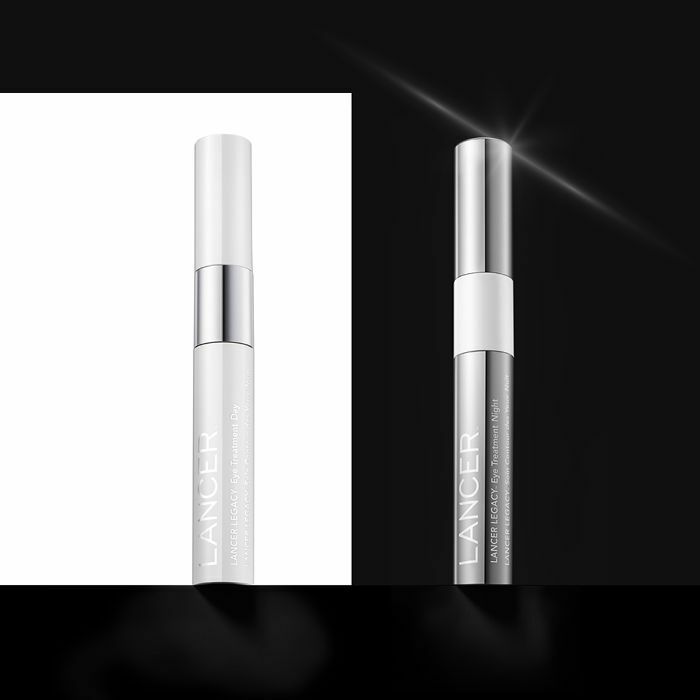 Victoria Beckham has also been loving this "super-potent roll-on elixir" for eyes from Dr Lancer. In true VB style, the eye elixir also comes with a Posh price-tag, that will set you back £400 from Harrods. Whoever unearthed this Tweet from VB back in 2014, we love you and we're grateful. According to The Mirror, VB confessed her love for This Work's Transit Camera Close-Up over on the social media platform claiming that it really works. 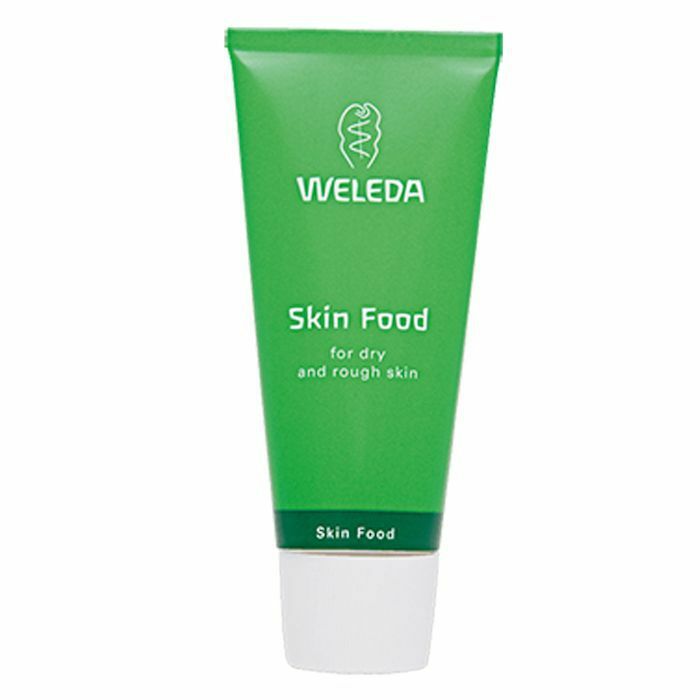 This all-in-one wonder product works as a mask, moisturiser and primer and contains hyaluronic acid to help even out and plump fine lines. If VB's a fan, then to be honest, we are too. If there's one she constantly nails, it's glowing skin. VB recently took to instagram to talk about her love for this super-rich, hydrating mask. 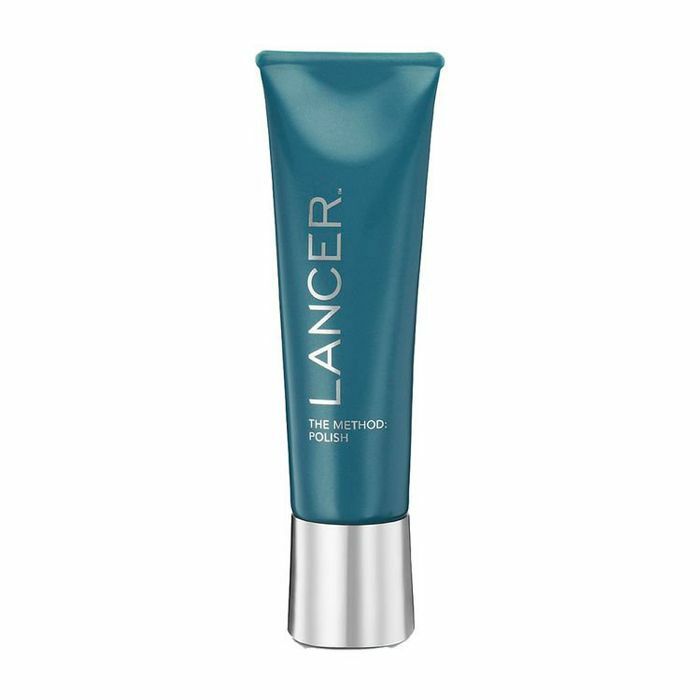 She wrote, "After a full-on week, my skin needs an intense mask," and that's exactly what Lancer's formula provides. Not wanting to miss out, Byrdie UK's deputy editor Shannon got herself a tube and tried it out for herself. "Imagine the thickest moisturiser you've ever owned—that's exactly what this mask feels like," she says. "It contains brightening antioxidants, as well as ingredients that knock back hyperpigmentation and neutralise redness. I can get why VB loves it—you paste it on at night and go to sleep without washing it off. When you wake up, skin is noticeably more uniform and just looks intensely nourished. Who wouldn't be into that?" And that's not the only product she's shared her love for recently. As it turns out, she's also a fan of niche perfume brand Vilehelm Parfumerie. 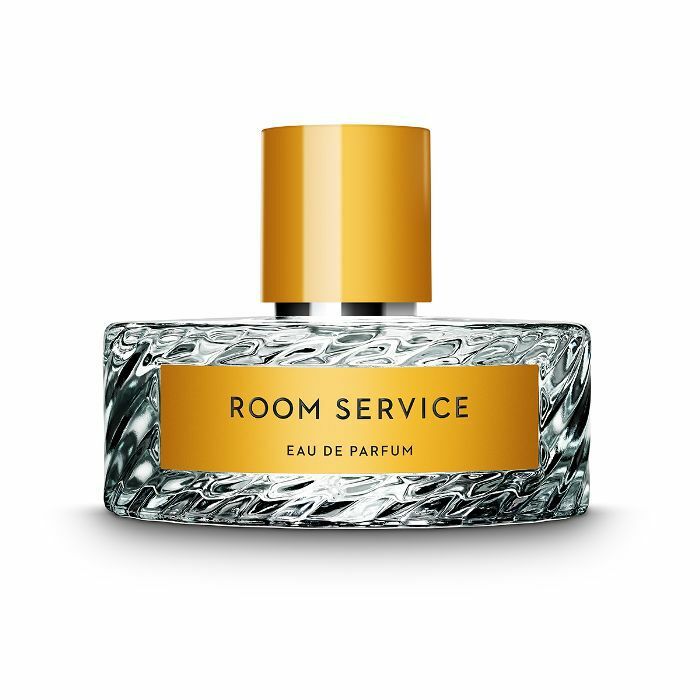 She shared a picture of the brand's room service scent with the caption "Super chic! Love this." And we have to say we agree. With handfuls of violets, a few elegant orchids, green bamboo and mandarin nectar, it's supremely addictive. She also let us in on the rest of her beauty routine in an interview with Into the Gloss. In it, Beckham revealed her entire beauty routine, opening up about the £10 moisturiser she always has with her, the one product she's applied religiously to grow out her pencil-thin '90s eyebrows and the in-flight habit she swears by for a bright, firm airport complexion. BRB, we're going to go copy everything. Keep scrolling to see our favourite tips and tricks we've learnt about Victoria Beckham’s beauty routine. We have to make mention of the body lotion that Beckham calls her "body secret." This £10 moisturiser (so affordable!) is formulated with essential fatty acids, vitamin E and pansy to calm irritation. "What I love about it is that it's not particularly expensive and you can find it anywhere," she said. "The formula is so thick and buttery. When I have a tan, I'll mix it with coconut oil—the same you use to cook with—and cover my entire body with it. I suppose some people may not like the greasiness, but it helps me hold on to the colour. And by the time I leave the house, I feel as if it's really sunk in. Like my skin's had a good drink. I go through so many of these… I wish they had bigger ones." Other celebs like Julia Roberts, Adele and Rihanna also love this product, so you know it's something special. We did have visions of Beckham decadently applying serums and creams in a special bathroom dedicated purely for skincare, but as it turns out, she likes to get through her regimen as quickly as we do. "I wash my face in the shower, I use the Lancer The Method Polish (£60)," she told Into the Gloss. "It's fantastic—it's quite grainy and abrasive. I can feel my face tingling afterwards. It's the best scrub I've found because it really stimulates the skin. You can use it twice a day, but for me, it really depends on what photoshoots I'm doing. Usually every few days I add it in to get that surface layer of skin off. … My skin used to be so problematic, and he's the one who finally got it sorted," she adds. Like us, VB can't resist the allure of a jade roller, after which she applies a light layer of La Mer The Moisturizing Soft Lotion (£185). "It's just a very easy, light moisturiser. My foundation goes on really well on top of this," she told ITG. Another product that she religiously applies to her skin belongs to her makeup collection with Estée Lauder. The so-called Morning Aura is an illuminating moisturizer and primer hybrid. She uses it especially before she deboards an international flight since it makes her skin look luminous and wide-awake in paparazzi photos despite the "horrific" aeroplane air. Interestingly enough, this is the specific reason for its development. "Right before I get off the plane, I always use the Morning Aura we developed for my line," she said. "When we started working on it, I said to the team that when I travel to L.A. and I get off the plane after 12 hours, and there's always tons of paparazzi. 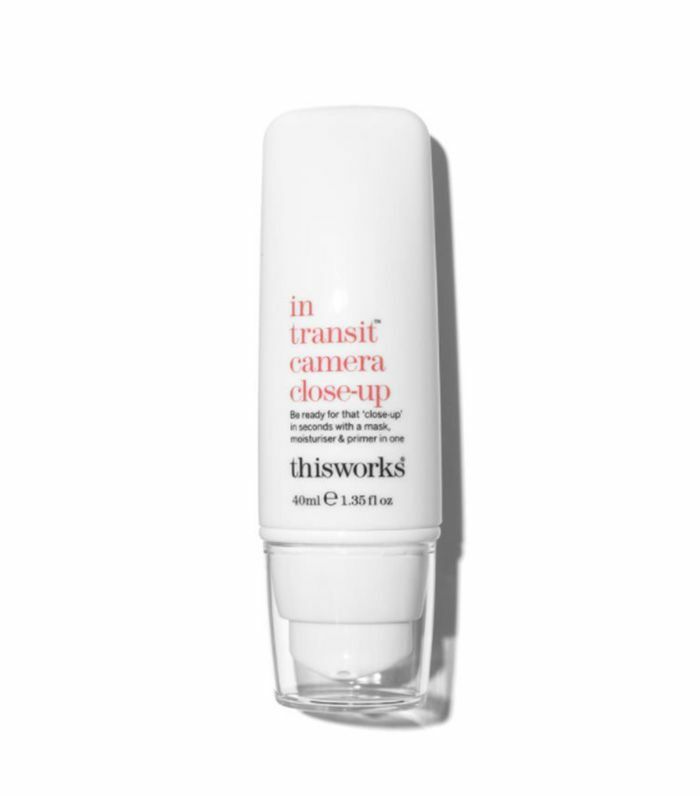 So I need a product that's going to hydrate, moisturize, lift, give a glowy, dewy feel about it… something that's going to make me photo-ready. That’s how we came up with Morning Aura." Beckham has famously said that the airport is her runway since she is so often photographed while coming to and leaving Los Angeles. It only makes sense she would develop a skincare product to cater to her famous post-flight photographs. The bad news though? Morning Aura is currently sold out. 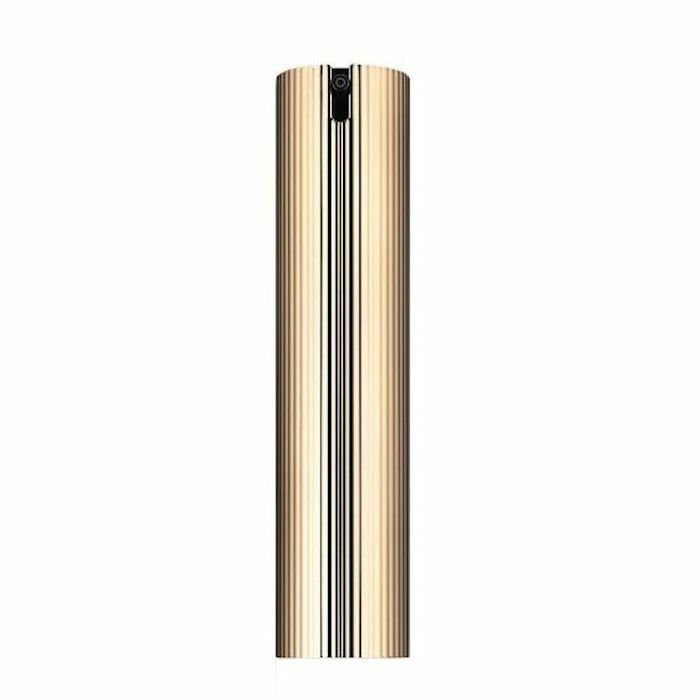 So until we wait news of a restock, try MAC Strobe Cream in Goldlite (£25). That isn't the extent of Beckham's beauty prowess, either. In the same interview, she credits the one and only Latisse for growing her lashes and—get this—eyebrows. "I have Latisse, which I use on my brows as well as my lashes," Beckham shared. "A lot of people outside of America may not have heard of this—it's a prescription product that stimulates hair growth. I'll use a generous amount on my eyebrows as well, and my brows have completely grown back." This is significant, seeing as she was right on trend throughout the '90s, rocking those infamous stick-thin arches. Currently, however, her brows are back to looking full and brushed-up—just how we like them. "I have gone through phases where I've stopped using it, and I noticed a big difference," she said. The thing is, however, Latisse has faced some strict scrutiny over the years regarding its safety, so if it's longer lashes you're after, you might be best trying some false lashes until things are a little more certain. Head over to Into the Gloss to read the full interview.